My older sister played tennis and when my twin brother and I were three, we also had a weekly 30-minute class. That was all I needed to fall in love with the game. Since then, I always wanted to be a professional tennis player. I love the feeling of winning and pushing myself to being the best I can be. But most of all, making my living doing something I love is a dream come true. The people around me help drive me to be the best person and player I can be and that’s what really pushes you in the hard moments. Like those early wake ups and tough fitness sessions. They’re mentally and physically the hardest things I’ve gone through. Thinking about the bigger picture and realising how important all the little 1% moments are, really makes you focus to get it over and done with. It’s that balance between the mental and the physical sides of the game. It’s not all about how strong you are. It’s how tough you can be, every second you’re on the tennis court or in the gym. That comes from a lot of mental training and strength. It’s great when it all comes together and you get that feeling that you can do anything with the ball. It doesn’t happen all the time, but there’s no better feeling. It makes every shot and point enjoyable. And when your opponent’s in the same zone, you get a really tough match you can get stuck into and you can really enjoy the battle. As a junior, I won a fair amount of national titles. But 2016 was my first big year. I made the quarter finals in the Junior Australian Open singles and the doubles semi finals. I was also the first player born in 1998 to win an ATP challenger title. And in 2017, I won three more ITF singles Futures and two doubles Challenger titles. It’s great when it all comes together and you get that feeling that you can do anything with the ball. It doesn’t happen all the time, but there’s no better feeling. Towards the end of 2017, my morning routine was 100 sit ups and 100 push ups. But it was a bit short lived as I broke my hand. I’m looking forward to getting back to that. Other than that, I really have no set routines, I generally go with the flow. The best advice I could give young players is trust yourself and stay confident. That’s always helped me. But also make sure you enjoy the game. Don’t think too much about it. Setting goals is a great way to stay motivated. It can be the same when you’re coming off a defeat. It takes a little bit of time, but thinking about the overall process of improvement and working towards the big picture helps put the loss in perspective. There’s always another week. Do the right things and you’ll be rewarded. Having someone to look up to helps too. For me, that’s Roger Federer. He has the perfect game style, the perfect attitude and perfect manners. He’s full of confidence and inspires everyone to give it a go. Because that’s what he did. His example inspires me to push myself toward my ultimate goal of becoming world number one. There’s always another week. Do the right things and you’ll be rewarded. The travelling can definitely be tough. But I love seeing places around the world, meeting new people and competing every day. So that definitely helps. It’s also really important to have a great team of people you respect and admire. That goes for the friends you spend your time with too, they also really help to make the experience a lot more enjoyable and purposeful. I love watching cricket to unwind. I played from when I was 8-15 and I loved it. But it was too hard to juggle both sports so I had to stop playing. So it’s great to be an armchair fan. I’m also a massive Netflix fan, a sleeping fan and a sports fan. Those keep me on the level. Plus, I love seeing my friends as often as I can. The new CX 200 Tour 16x19 has been designed for advanced players with big swings. 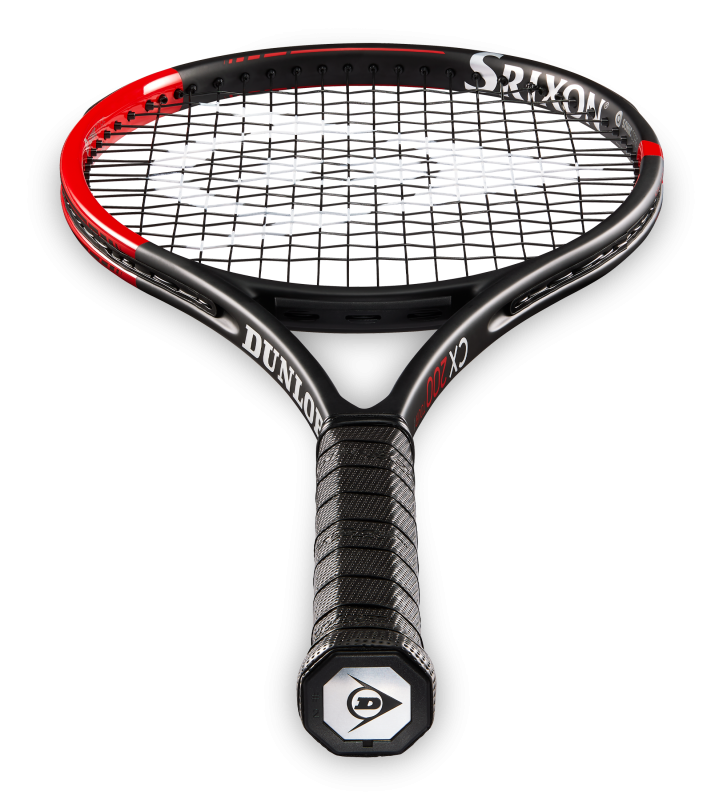 The racket has excellent feel and allows for aggressive shots with additional spin to help you dominate the game. Dunlop pro players may play with different rackets to the model shown.